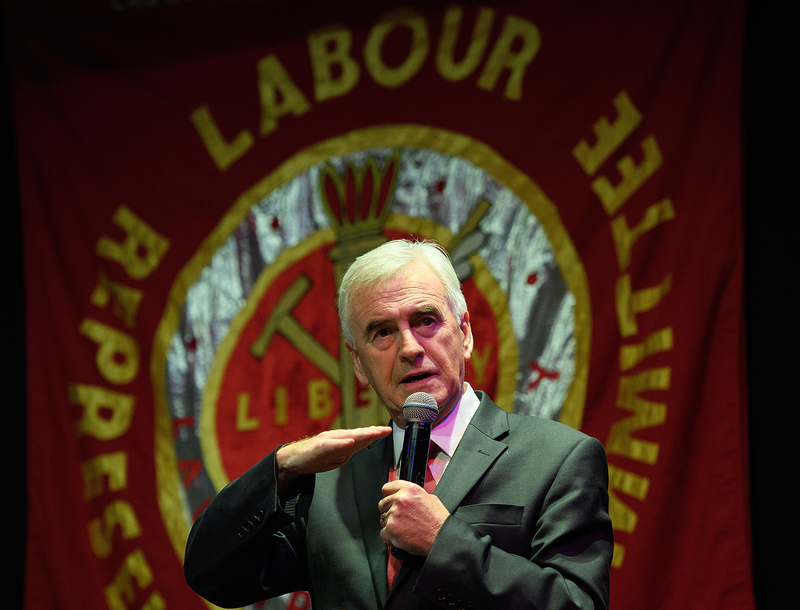 “Let me introduce you to the Marxist concept of praxis.” John McDonnell has a lesson for me. McDonnell’s conception of himself is different to the way others perceive him. The socialist shadow chancellor names Marx, Lenin and Trotsky as his most significant intellectual influences. The man, who will run the UK economy if Labour wins the next election, is perhaps best known for whipping out a copy of Mao’s Little Red Book in the House of Commons and tossing it at the then Chancellor, George Osborne. (Osborne wondered out loud whether it was his personal signed copy.) Within Labour circles, it’s remembered that McDonnell fell out with Ken Livingstone back in the far-left days of the Greater London Council, because he didn’t feel “Red Ken” was Left enough. So let’s clear this up now. Are you a Marxist, I ask him. “I am a Socialist in the British tradition. Part of that tradition is Marxism. So yes. I am a Socialist within that tradition.” I take that as a yes. What is beyond question is that McDonnell is Labour’s most interesting figure. When we met up at the end of last month – 29 March, what was supposed to be Brexit day – he is plainly a man in a hurry. He rattles through plans for a General Election (he’s planning for October), he’s served notice on the Treasury to prepare for a Labour Budget (it’s slated in for 10 weeks after the election); he spells out the agenda for renationalisations (water and railways look set to come first), he sets out his proposals on tax changes (top rates are going up, but perhaps not as much as you’d expect) and he explains the challenge he has put to the Treasury (his version of a green new deal). Impatient that the Labour leadership has not yet been given access to the senior ranks of the Civil Service as always happens in a pre-election period, he has served notice on the top mandarin in Great George Street that he wants the Treasury to go back to school and widen the range of economic theories on which it relies. This prompted one official to remark to me that it will become a “re-education camp”. This is McDonnell, the ideologue, enemy of new Labour, 68 in September, who has been transformed by an astonishing series of political events into the most powerful figure in the Labour party, justifiably claiming to be on the verge of power. And apparently transformed, too, from an uncompromising hardliner into a reassuring diplomat, sent out by Jeremy Corbyn to douse the flames of party rows over antisemitism and Brexit. We catch McDonnell with his adviser Andy Whitaker as he comes up the escalator from the Westminster Tube Station subway and into Portcullis House. For years, he was a marginalised, barely even marginal figure in British politics. These days, everyone wants to talk to him. So we are there to intercept him. He is dressed in a smart business suit and tie, the bank manager apparel in which he has visited many a television studio and boardroom in recent years as he waged a charm offensive designed to persuade an anxious big business world that he is not a corporate assassin. Everything that follows suggests an urgency in him; I sense that he knows this may be the Left’s best chance ever to take the reins of government. He is friendly, deeply serious; there are no signs of the flashes of anger, aggression, impatience or even unpleasantness that some associate with him. How can a man who rebelled against the Labour government hundreds of times along with Corbyn be the central figure in its bid for power? How have we reached this point? To an extent, as he reveals, the answer is almost farcically comic. 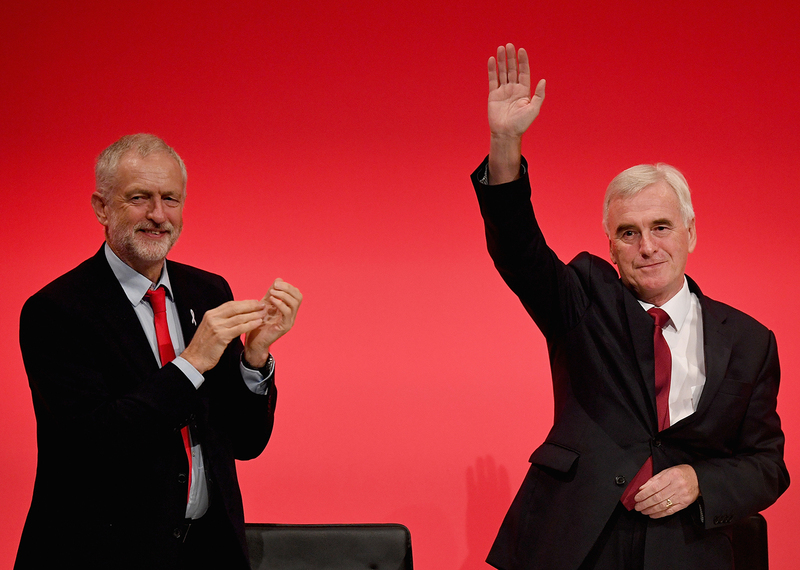 McDonnell had worked all his life for socialist ideals, but had surely assumed the Left’s moment would never come. As we know Corbyn’s election was essentially an accident, caused when the self-professed “morons” – MPs who did not support Corbyn – put him on the ballot paper just to give the Left a voice. He tells me how Corbyn became the candidate. “We had two big meetings of the Left, all the various organisations. Many argued that we should not have a candidate because we would not get the votes. I had failed twice and Diane (Abbott) last time. One idea was that we should negotiate with another candidate to get a junior shadow minister position. So this is how Corbyn and McDonnell took the reins of the party. 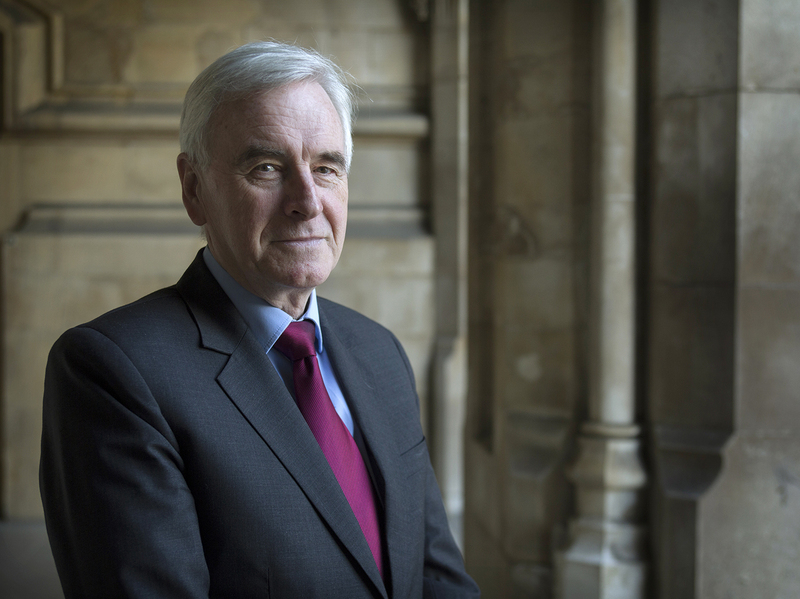 The fascination for Westminster watchers like myself – and the question looming over the future of public services and the private sector in Britain – is how McDonnell, often referred to as the Hard Man of the Left, has become an arch pragmatist? Is it just show? Who, in short, is the real John McDonnell – the consummate politician we see and hear chortling and joshing with interviewers on radio and television, or the granite-faced pugilist who tore into Alastair Campbell on Question Time and told him that his words were “nauseating”? Will the real John McDonnell bare his teeth when he gets into power, justifying the fears that his regular chit-chats with business leaders have not quite succeeded in extinguishing. There is no doubt that McDonnell, who did not perform brilliantly in his school-age education, is highly intelligent and, in the view of most of his colleagues, an intellectual. He often refers to himself as a hard-nosed bureaucrat. He impresses his business audiences, sometimes against their better judgment, with his overall policy grasp. But others are not convinced by the makeover. They remember his dogmatic attacks on Blairism and all it stood for, and they believe his true, abrasive character is never far from the surface, shown by his fierce, outspoken hostility towards Corbyn’s detractors as they quit his front bench and Owen Smith challenged for the leadership. McDonnell has never been afraid of using extreme language. But unlike Corbyn he has a facility for getting himself out of trouble. “Sorry” is not the hardest word for the shadow chancellor. When he was attacked over his remarks that the IRA should be honoured for the bombings which brought the British government to the negotiating table, he apologised “from the bottom of my heart” to any he had offended. There have been other apologies. And his reinvention has unnerved Labour MPs, like the former minister who told me he had hardly known him before 2015 and always assumed he was “a nasty piece of work”. Much of the McDonnell story is explained by his roots. He grew up in a rundown area of Liverpool, born into an Irish Catholic family. His grandfather had come over from Ireland; his father, Bob, was a docker and mother, Elsie, a cleaner. Soon the family moved to Elsie’s home town of Great Yarmouth in Norfolk. She worked in the local BHS, a high street department store, and Bob became a bus driver. He and his brother Keith, who still lives in Norfolk and became a senior policeman, went to a Catholic primary and then on to Great Yarmouth grammar school. At around 14 or 15 McDonnell went to St Joseph’s College in Ipswich down the A12 from Great Yarmouth. It was established in 1937 by the De La Salle Brothers, a Catholic order, and for some who went there it was the beginning of training to be a priest. 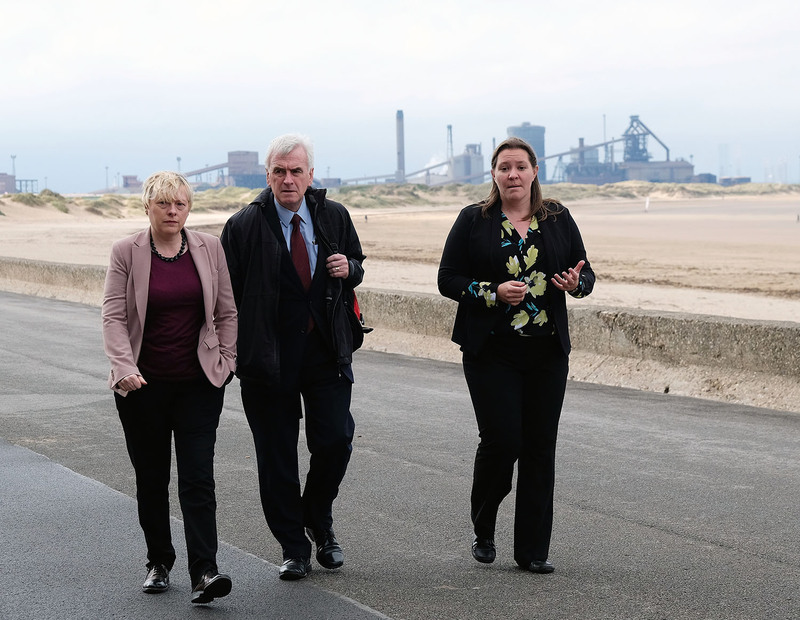 McDonnell returned to the north-west and did a series of unskilled jobs working in a bed factory and then doing 12-hour shifts making Philips TVs. He met his first wife Marilyn at a miners’ club and admits that she told him to “sort himself out” and encouraged him to redo his A levels at Burnley Tech. By now McDonnell was a voracious learner and reader. After moving south he did a BSc in government and politics at Brunel University and then an MSc in politics and sociology at Birkbeck College. As he studied he worked. He and his wife, who were to have two daughters, became “house parents” for a children’s home in Hayes, west London. He remarried in 1995 and had a son with his second wife Cynthia. He has five grandchildren. In May 2013 he suffered a heart attack but he recovered quickly and these days tries to keep fit with walking and sailing on the Norfolk Broads. He also worked at the National Union of Mineworkers and the TUC, and soon after being elected to the Greater London Council in 1981. McDonnell was determined to reach Parliament. He narrowly failed in 1992, and then became MP for Hayes and Harlington in 1997, a beneficiary of the new Labour wave with which he was never to make peace. Under Tony Blair and Gordon Brown he effectively ran an alternative economic strategy from the regular meetings of the Socialist Campaign Group and other Left gatherings. Like other members of the Campaign Group he was an outsider for 18 years. During that long period Campaign Group MPs felt isolated and were not well treated by the Labour parliamentary hierarchy. “They always gave us the worst offices,” said one. But they were not idle. Considered unacceptable within the parliamentary party they worked outside building movements and dominated the fringe at party conference. They did not know it but their day was to come. Now with Brexit tearing the Conservatives apart McDonnell prepares for government. He seems totally at ease with the contradiction that a man who has devoted his political life to the defeat of capitalism is now bent on running the system. Are we all supposed to take this seriously? When I told him that Alan Simpson, his friend and adviser on sustainable economics, had described him as a “principled realist”, he beamed. Despite his protestations to the contrary many Labour MPs believe that if the leadership ever became vacant McDonnell would not be able to resist running for it. 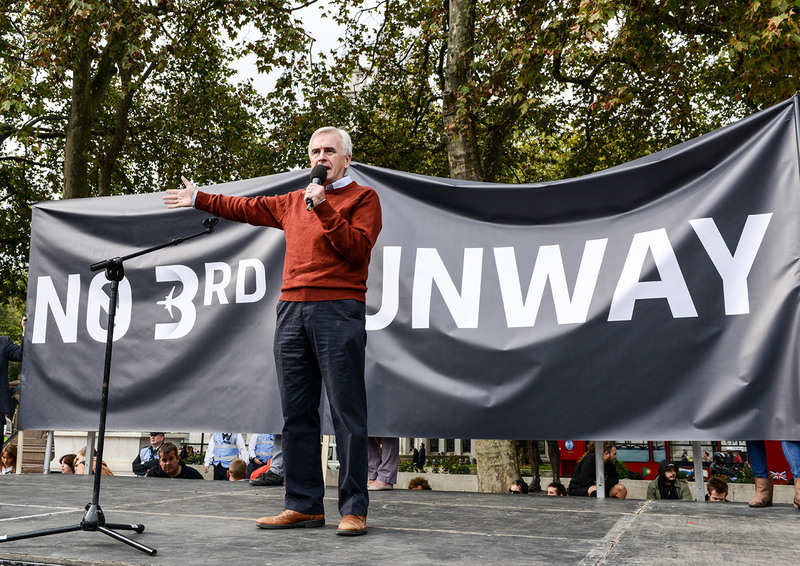 There have been tensions between McDonnell and Corbyn’s office, particularly when the former insisted on adopting the full international definition of antisemitism. And McDonnell has been instrumental in pushing the leadership to a stance more supportive of a second EU referendum. But Alan Simpson says that never have a Labour leader and would-be chancellor protected each other’s backs so well and aides insist that any inter-office disputes has not affected their friendship. “They are close mates,” says one. 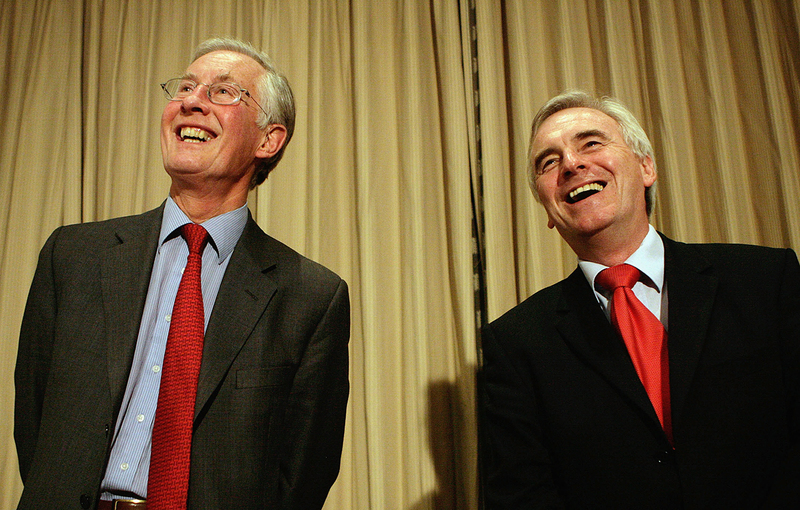 So what can we expect from a McDonnell-Corbyn government? Neither of them have ever tried to persuade big business and the privatised industries that they will like a Labour government. They have never hidden their plans for mass renationalisation and big rises in corporation tax. Even so the 2017 manifesto was not as radical as some might have expected. There was no sign of a wealth tax and voters were told that no one earning under £80,000 would face rises in income tax or national insurance. It was nothing like the far-left 1983 Labour manifesto dubbed the longest suicide note in history. Pragmatic. That word again. So what’s he hiding? No one is accusing him of dropping his pure socialist credo. Is his current-day pragmatism a cover for a red-meat Labour government? He says: “When I go to see asset managers and others I say to them ‘Look if you read the Daily Mail, Daily Telegraph or Daily Express I reassure you that you are not all going to be renationalised or sent to a re-education camp in Bolton. Taxation will be “roughly the same” as proposed in 2017, McDonnell tells me. So where does that leave us? Based on his steer, corporation tax will be increased from 19 to 26 per cent by stages, with a small business rate of 21 per cent, raising up to £19 billion after three years of a Labour government, provided – and it is a big proviso – companies do not reduce their investment in Britain and shift their profits overseas. Despite some on the Left believing it is too cautious, his plan is to target only the top 5 per cent of earners with rises in income tax. In 2017 the plan was 45 per cent for earnings over £80,000 and 50 per cent for income over £123,000. Tory cuts in capital gains tax from 28 per cent to 20 per cent (higher rate) and 18 per cent to 10 per cent (lower rate) are expected to be reversed. And the VAT exemption on private school fees is set for the chop. 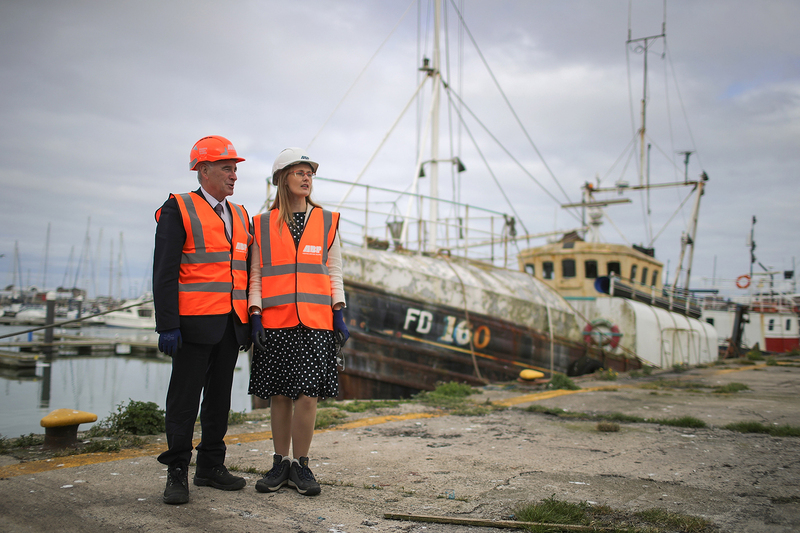 In addition, McDonnell told me, he is consulting on a new non-residential land value tax to give local government a stable finance base needed now that 40 per cent of services are provided by local government, and its capacity has fallen with the loss of staff and services. McDonnell insists that he gets little opposition at his “tea offensive” meetings with business. It is quite clear that the Government’s handling of Brexit has made business more inclined to listen to Labour, whose stance most of them prefer. Maybe they believe a pragmatic Marxist is preferable to hard Brexiting Conservatives. But some do fear he is a revolutionary who will wreck the economy. They can’t quite laugh at his Who’s Who declared hobby of “fomenting the overthrow of capitalism”. They particularly do not like his tax and renationalisation plans. One business chief called them “nightmarish”. So water and rail are the early ones? How will this be paid for? Labour has suggested it will be cost-free. Investors in the privatised industries will be given bonds in return for their shares and the profits from the companies will pay for them. The profits will cover the borrowing costs. That is the theory. McDonnell says the new manifesto will be as radical as the last but with new ideas. One under strong consideration, it is understood, is a plan now out for consultation to require all companies with over 250 employees to give staff shares in their firms. McDonnell has called them “inclusive ownership funds”. So as he awaits an election McDonnell has written to Sir Tom Scholar, Permanent Secretary at the Treasury, telling him he expects the Treasury to “widen the range of economic theories and approaches in which its officials and those in the rest of government are trained”. He does not say this but he clearly wants the “new economics” to take on the orthodoxy of the Establishment of which the Treasury is a key pillar, and which could be the greatest threat to his mission. When pressed on alternative models the shadow chancellor mentions Joseph Stiglitz, the American Nobel-prize-winning critic of laissez-faire economics and the management of globalisation, and Mariana Mazzucato, the Italian Professor in the Economics of Innovation and Public Value at UCL, London, both of whom have worked on his advisory team, as figures whom Treasury officials should learn from. McDonnell is trying to get access to Whitehall now. He wrote both to Scholar and Sir Mark Sedwill, head of the Civil Service and May’s Cabinet Secretary, to ask for the usual pre-election briefings. It was refused by the Prime Minister. A mistake, he says. Quite what officials think of their orders from the first would-be Chancellor with Marxist sympathies since Stafford Cripps, the post-war austerity Treasury chief, can only be imagined. McDonnell declares: “We want a budget in the first 10 weeks. That means the OBR has to do its report first. We want to give them notice.” He wants a five-year spending plan, not the present three years, to cover a full parliament. McDonnell is described as sectarian by one former Labour minister and utterly intolerant of any who disagree with him by another. But now he goes on to recommend 10-year capital investment programmes with some of the detail agreed on a cross-party – yes cross-party – basis. This is the same man who was once in trouble for quipping on TV that if he could have gone back in time he would have assassinated (he insists he meant to use the word “sectioned”) Margaret Thatcher, and quoted someone who said that Esther McVey, the former Tory cabinet minister, should be lynched. McDonnell’s letter to Scholar is revolutionary in several other demands. Simpson himself spelt out in a recent article what that means. In practical terms, he says, the UK will have to cut its carbon emissions in half within the coming decade and then do so again in the decade that follows, and the one after that. The next government will have to deliver carbon reductions of 15 per cent a year, he adds. It appears that the rebirth of modern green socialism in America, encompassed in the Green New Deal’s drastic cuts in fossil fuel production proposed by Alexandria Ocasio-Cortez, is having its impact here. Kevin Anderson, head of the Tyndall Centre for climate change research, is said to have been influential in McDonnell’s embrace of climate science. Simpson warns that McDonnell and Corbyn have a battle to get tough environmental policies past the Treasury and a union wing that believes – wrongly, he believes – that they imply big job losses. But McDonnell believes that union opposition is being contained. He talks passionately about achieving a “just transition” from carbon to green. And he refers to Corbyn’s pledge that people in the carbon industry would be guaranteed a job in alternative energy production and with the same level of wages. That would be a just transition. He suggests that in future a Labour Budget could be shaped in that way with the role of the OBR being expanded so that it could look into the wellbeing impact of proposed measures as well as the usual financial statistics. As we meet, Brexit remains on a knife-edge. 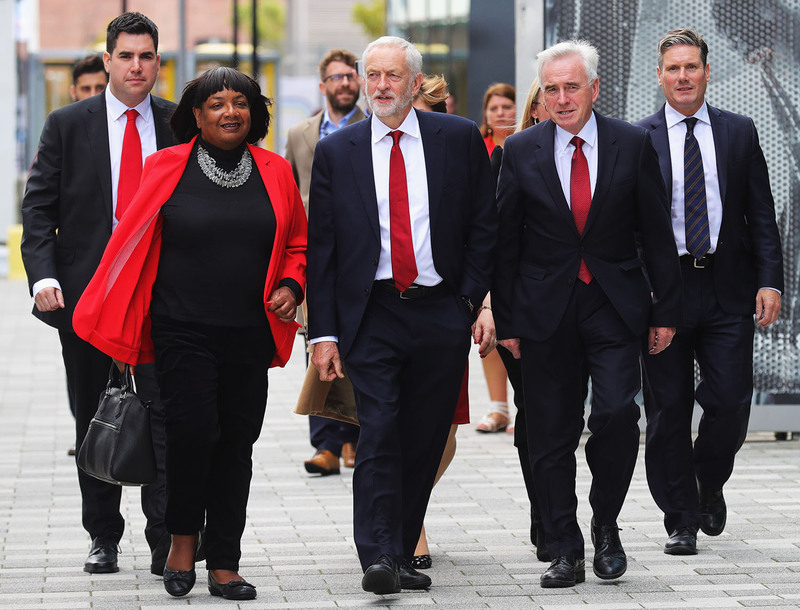 Labour has been split – not as badly as the Tories, but split between a substantial number of MPs plus a party membership crying out for a second referendum and the rest who want to respect the June 2016 result but with a soft Brexit. And there are a handful of hardliners who have always been opposed to the European Union. Corbyn and McDonnell were in that group for most of their political lives. But while Corbyn’s attempt to portray himself as a Remainer has looked unconvincing, McDonnell has managed it. McDonnell, the pragmatist, has smelt the coffee and done more than most to keep the party together. As McDonnell contemplates probably his one chance of government it seems to me that his pragmatism is winning the internal struggle with ideology. His focus on the green agenda and wellbeing allies him to a modern progressive agenda. He is not a prisoner of the 1970s. Many believe Corbyn is. There is no doubt that under him and Corbyn the Left has seized control of every part of the Labour movement, apart from the parliamentary party. Most believe that if he won power he would not seek to move even further left. The socialist pragmatist has spoken. 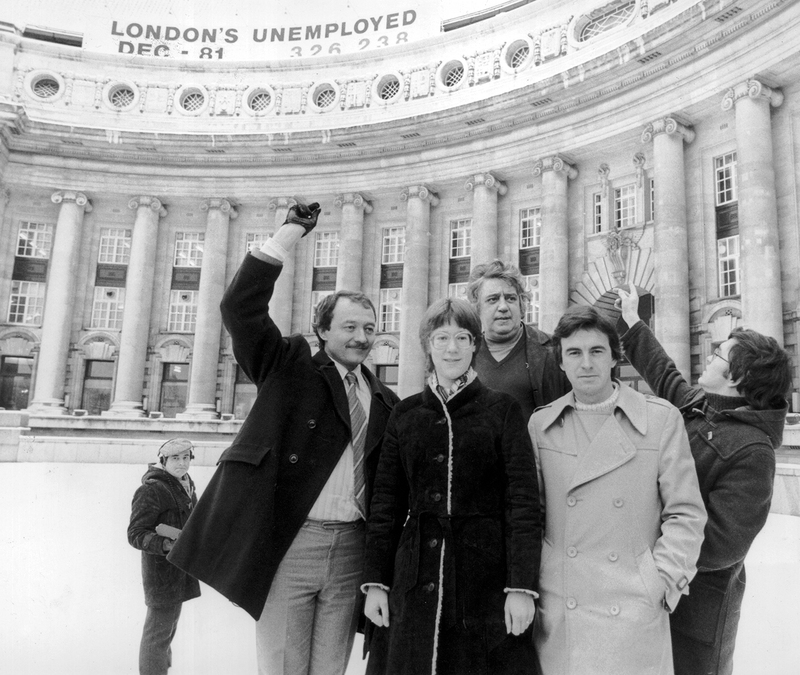 Labour’s Programme, 1982: Seen by many on the Left as purest form of socialism presented by a mainstream UK party and the Left would argue its central aims of achieving full employment, securing greater equality and redistributing wealth to eliminate poverty were just as relevant today. Largely the work of Tony Benn it morphed into the 1983 manifesto, which Gerald Kaufman, former minister, called the longest suicide note in history. Das Kapital by Karl Marx – A critique of political economy. “Is democracy working? It didn’t work if you were a family living on the 20th floor of Grenfell Tower. “Those families, those individuals – 79 so far and there will be more – were murdered by political decisions that were taken over recent decades. Join us for a ThinkIn on The big question: is Labour ready for office? on Monday 15 April in our newsroom. Book your ThinkIn ticket here.